Perfect Valentine's Day gift for the man in your life. 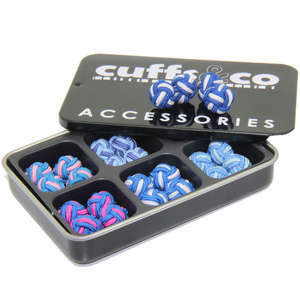 Get a set of 3 red and blue silk knot cufflinks. 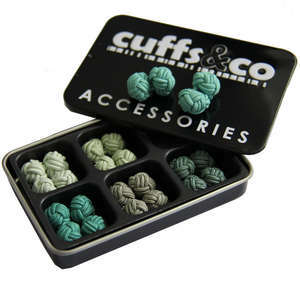 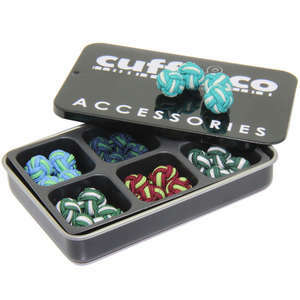 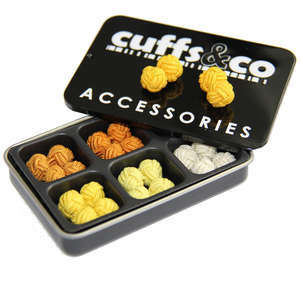 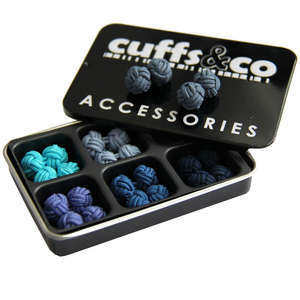 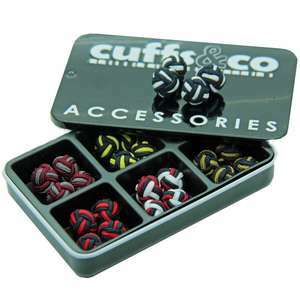 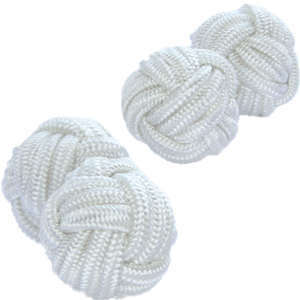 These silk knot cufflinks have an 11mm knot that is used to fasten the shirt, in a simple but elegant way. 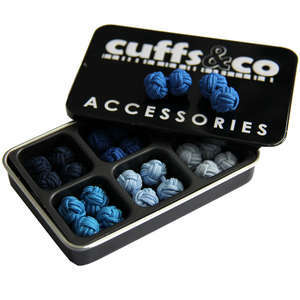 Fits standard shirts.